Earlier this week, Qatari Energy Minister Saad bin Sharida al-Kaabi announced that Qatar would withdraw from OPEC starting on January 1, 2019. Qatar was the first of the five non-OPEC countries to be joined in 1961 by Iran, Iraq, Kuwait, Saudi Arabia and Venezuela It will now be the first Middle East country to withdraw from. Al-Kaabi said that the decision to withdraw "reflects Qatar's desire to focus its efforts on plans to develop its natural gas production and increase from 77 million tons per year to 110 million tons in the coming years." Although Al-Kaabi's statement reflects Qatar's long-term energy plan, it avoids a major reason for Qatar to leave - the ongoing crisis in the Gulf Cooperation Council (GCC) and the dispute with Saudi Arabia - de facto OPEC's state. Ever since the diplomatic relationship between Qatar, Saudi Arabia, the United Arab Emirates, Bahrain and Egypt (the Quartet) has broken apart, Qatar has increasingly been excluded from the OPEC bureaucracy. Qatar produces about 600,000 barrels of oil per day only, so OPEC's ability to shape the market will not be affected. However, Qatar's withdrawal suggests that Qataris do not want to adopt a more independent foreign policy, but also an independent energy policy. "Qatar's withdrawal from OPEC is a wise decision," said former Qatari Prime Minister Sheikh Hamad bin Jassem. "This organization has become useless and adds nothing to us. They are used only for purposes that harm our national interest. " Is it an organization that is useless? OPEC is a somewhat useless organization, but OPEC's role in the changing oil market is ambiguous. After the fall in oil prices in 2014, the organization combined its forces with Russia in 2016 to reduce production and re-raise the price of oil to within the acceptable range of producing countries. It remains to be seen whether this development is a sign of OPEC's weakness or strength. On the one hand, oversupply and surplus stocks have reached such high levels that it is now necessary for Russia to reduce its production as well as cuts by OPEC to balance markets. On the other hand, OPEC had the ability to annex Russia and achieve its objectives. So only time will reveal how OPEC's role in the changing oil market evolves as production in the United States and other non-OPEC countries grows. But what is more certain is that Saudi Arabia and Russia are taking control of OPEC today. Formally, the organization works by consensus, but Saudi Arabia has always had the biggest say in OPEC's decision-making. With Russia's accession, these two oil-producing products hardly leave a place for the views of other countries. The meeting between Russian President Vladimir Putin and Saudi Crown Prince Mohammed bin Salman at the G20 summit this weekend in Buenos Aires is likely to make the decision to make production cuts a foregone conclusion at the OPEC meeting in Vienna on December 5-6. 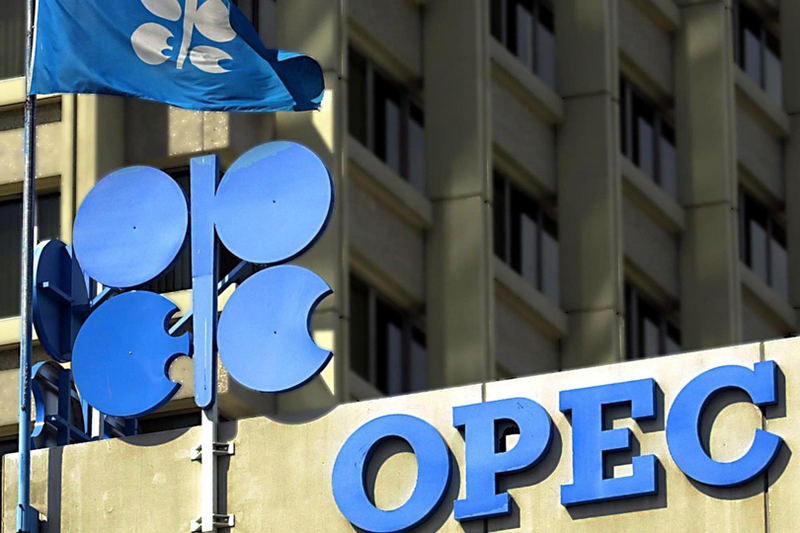 Will Saudi and Russian hegemony urge more small producers to withdraw from OPEC? As long as Qatar's decision to withdraw is more about politics than oil, the incentives have not really changed for other small producers. Therefore, we do not believe that the withdrawal of Qatar will encourage other countries to leave, but the small producing countries have undoubtedly lost influence in the current composition of OPEC + which includes Russia, Kazakhstan and other countries. The global pressure on Saudi Arabia since the assassination of journalist Jamal Khashoggi has led to the assumption that Mohammed bin Salman may seek to curb two of his main foreign policy problems gradually: the war in Yemen and the blockade of Qatar. Crown Prince Mohammed bin Salman spoke more positively about Qatar during the recent stalled investment conference, saying that despite their differences, Qatar had a "strong economy and would be very different five years later." There is, however, no sufficient sense of evidence to suggest that the Quartet will back down from the crisis. With Qatar's withdrawal from the OPEC, Qataris reinforce their position against the Saudis. As the crisis enters its 18th month with no solution on the horizon, Qatar is not motivated to stay in OPEC, raising questions about the long-term viability of the GCC. The Emir of Qatar yesterday received the official invitation from King Salman to attend the GCC summit scheduled for December 9 in Riyadh. At the summit held last year in Kuwait, the Kuwaiti Emir tried to broker a solution to the crisis and called on all other heads of state to attend the summit. The Qatari Emir attended, but Saudi Arabia, the United Arab Emirates and Bahrain sent ministers or deputy prime ministers instead of sending heads of state. Qataris have yet to announce the level of the delegation to attend the summit next week in Riyadh. The Saudis' hosting of the summit and the possibility of King Salman heading it put Qataris in a difficult position. Either the prince will attend the summit, which may send a more conciliatory message, or send a representative delegation, which may be seen as a downgrading of King Salman and Mohammed bin Salman and other leaders present at the meeting. The summit will reveal next week whether it is possible to save face to all concerned, or the crisis of the Gulf Cooperation Council will become the new natural situation.